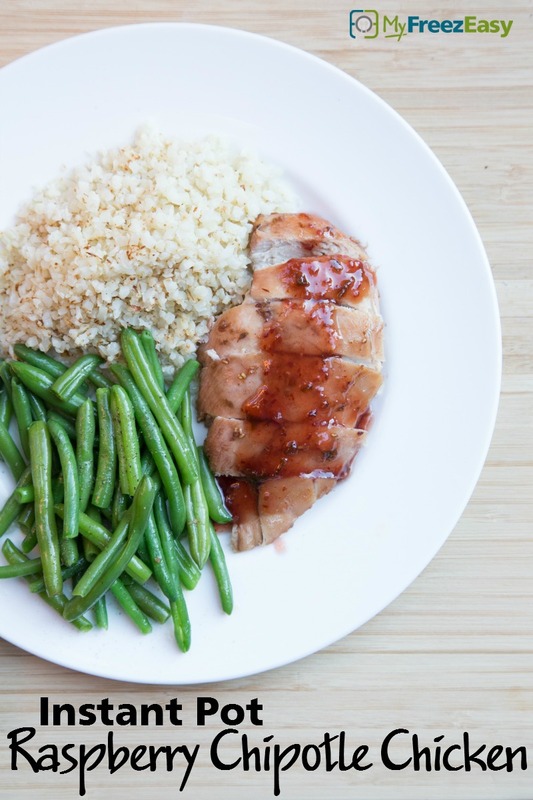 My family LOVES this raspberry chipotle sauce! Place chicken breasts into a baking dish and season with salt and pepper. 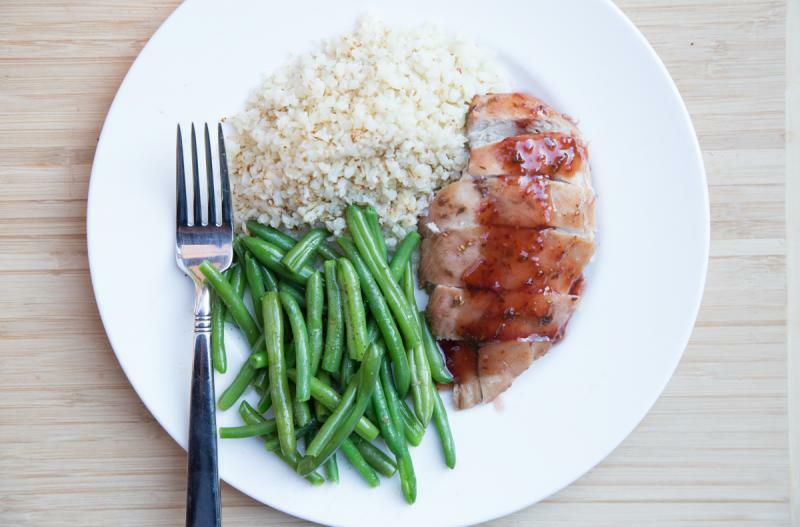 Pour the raspberry chipotle sauce over the chicken. *Let marinate for at least 30 minutes in the fridge. Place the marinated chicken breasts into the electric pressure cooker insert with the hot water. Cooking time may vary depending on thickness of the chicken. Serve Instant Pot Raspberry Chipotle Chicken with fruit and salad.